The Oakland Raiders had plenty of problems on the field in 2018. A poor defense and uninspiring offense led to a 4-12 finish in Jon Gruden’s first year back as a head coach. However, their problems extend beyond just football: They might not have a stadium to play in next year. The past two months have been a rollercoaster for the Raiders, who are set to leave Oakland for Las Vegas in 2020. In December, the city of Oakland sued the Raiders and the NFL on antitrust grounds for moving the team. This led to a situation where it seemed the Raiders would have to find a temporary home in 2020, as the Oakland Coliseum no longer wanted to host the silver and black. After discussions with other suitors, it looks like the Raiders might have one more year in the Coliseum after all, according to KGO-TV reporter Larry Beil. Beil’s report over the weekend was the first positive news for the Raiders’ stadium hunt in some time. Nothing has been confirmed yet; the negotiations could fall through and the Raiders could be back at square one. But it looks more likely that the Raiders will finish their Oakland tenure in the Coliseum than it did just a few weeks ago. A week ago, the Raiders were in talks with the MLB’s San Francisco Giants to cohabitate in San Francisco’s Oracle Park next season. Raiders owner Mark Davis was personally opposed to sharing Levi’s Stadium in Santa Clara with the San Francisco 49ers, according to the Associated Press, so Oracle was the next best option. Unfortunately for the Raiders, San Francisco mayor London Breed was not keen on the idea. Breed told KTVU last week that the Raiders “should play in Oakland.” She cited existing traffic congestion in the area as a problem that would only get worse with the sudden and temporary relocation of an NFL franchise to the baseball park. 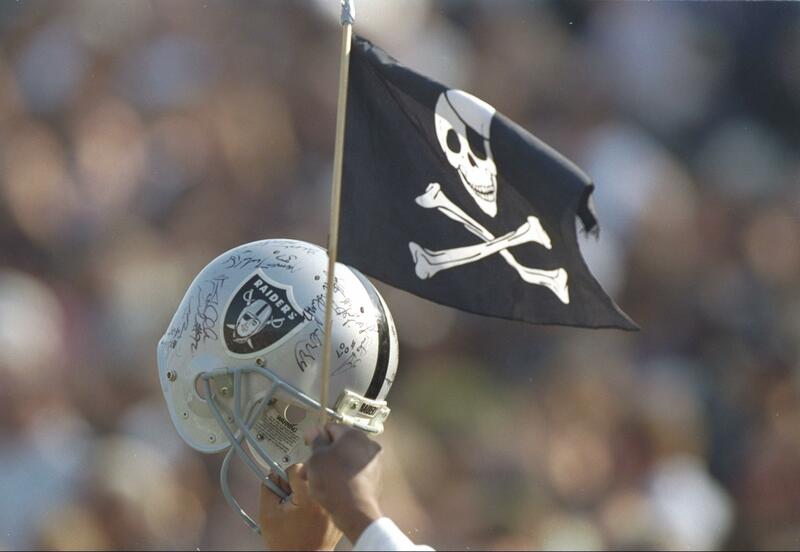 The Raiders played in Oakland from their inception in 1960 until 1981, when they moved to Los Angeles. They spent 13 years in LA before moving back to Oakland. Starting in two seasons, Las Vegas will be the third city the Raiders have called home.